The website is finally back online. Some articles were posted at www.LawlessAmerica.org, but www.facebook.com/billwindsor1 is the best source of news when this site is hacked. 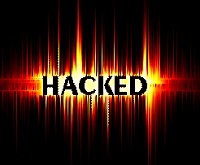 LawlessAmerica.com is hacked regularly. All part of the activities of the cyberstalking gang, Joeyisalittlekid. Tune into Bill Windsor and the Lawless America Show on Talk Radio.